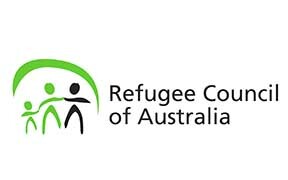 This July, join community sponsorship expert Russell Rook from the UK as he launches a speaking tour to explore how a community refugee sponsorship program can build powerful bonds between sponsors and refugees, strengthen host communities, and foster positive attitudes towards refugees and resettlement in Australia. Old Parliament House, Adelaide. Tickets. To RSVP email lisa.chesters.mp@aph.gov.au or call 5443 9055. Tea and coffee will be provided. Register here. Join us for a discussion with Dr Russell Rook, a leading international expert, who will share his experience in developing the UK’s community-led model of refugee sponsorship, which gives charities, faith groups, churches and businesses the opportunity to support and resettle refugees. He will be joined by Khanh Hoang from the Kaldor Centre for International Refugee Law, and Shankar Kasynathan from Amnesty International Australia, who will talk about the history and future of community refugee sponsorship in Australia.